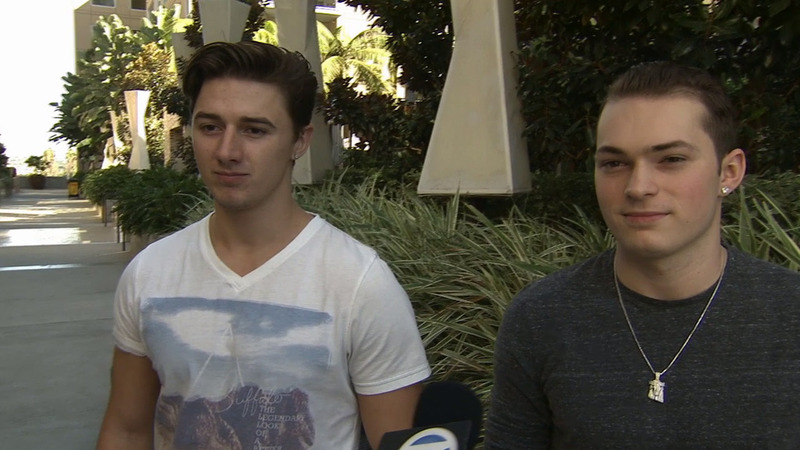 Lance Stewart, right, and Adkin Kolansky, left, talk to ABC7 on Thursday, Oct. 29, 2015. LOS ANGELES -- A video of two teenagers feeding the homeless in Los Angeles has gone viral. Lance Stewart, 18, and his friend, Adin Kolansky, went into a McDonald's restaurant and ordered 100 McDouble sandwiches. The surprised employees fulfilled the order, which came out to $151. The teens then gave away all the sandwiches to homeless people. When they ran out, they bought more food at a nearby drugstore. In just eight hours of posting the video, it had more than 1.8 million views on social media. The teens said they hope the video inspires others to spread kindness.